The foundation of the modern village originated in the Enclosure Award of the mid-nineteenth century. As a result of the enclosure of the wastes, all of the common land passed into private ownership. Churt was no exception. Large tracts of land became available for development and the population increased. The social structure of the village changed because many of the new inhabitants came from the professional and middle classes. Common rights disappeared as a result of enclosure and the existing villagers, who were mostly engaged in subsistence farming, were no longer able to use the common at will for grazing, or as a source of fuel, food or building materials. In 1982, I embarked on a post-graduate study course at what was then Portsmouth Polytechnic, and obtained their 'Diploma in English Local History'. It was a fascinating year's study and provided a wonderful base for the study of local and family history. The course included the preparation of a dissertation on a local history subject of one's own choice. 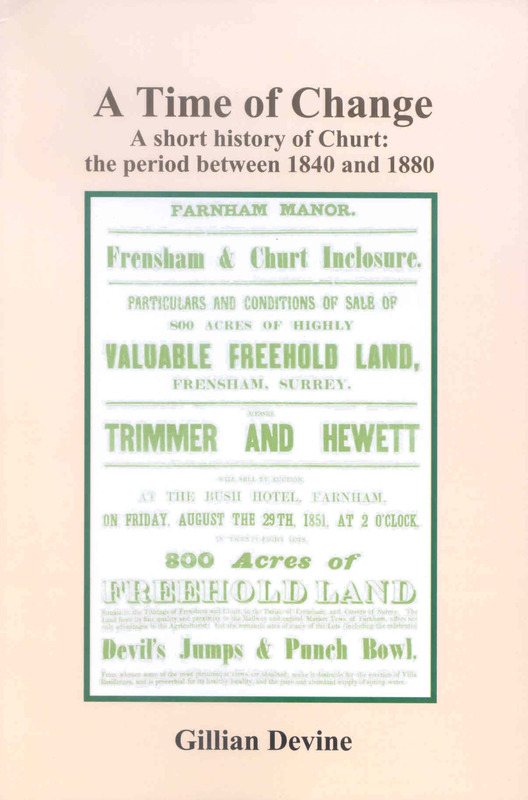 I chose to investigate the effect of the nineteenth century enclosure of the commons on my own village of Churt in south west Surrey. Those people who read the finished dissertation found it interesting and encouraged me to turn it into a book suitable for a wider audience. Twenty five years later I have done just that, and I hope you find it illuminating and enjoyable.